My name is Cornelia Mladenova. 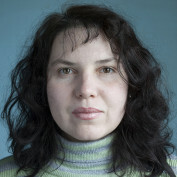 I am a native Bulgarian living in Ireland and mother of two beautiful daughters. Work as an administrator in an engineering company. I was born in 1971 in the town of Kazanlak, Bulgaria, then lived in Sliven and in Sofia. At last, in 2008 moved with my whole family to Ireland. I am a graduate from the University of National and World Economy in Sofia but before leaving Bulgaria I studied Graphic Design. Most of my life I have worked as a reporter and office administrator. My work includes not only administration, but also creating presentations, brochures, leaflets, business cards, photo editing etc. Love graphic design and digital art and my passion is to create art and design with Adobe Photoshop, Adobe Illustrator, Adobe InDesign and CorelDraw. 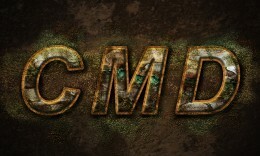 From this tutorial you will learn how to turn an ordinary digits into awesome grunge style work of art. All you need is a few textures and a little bit of patience to play with layer styles.